The Island Golf School offers 3, 4 and 5 Day Golf Schools every week of the year. Our student to teacher ratio NEVER exceeds 4 to 1. Prices do not include accommodations.Please contact us to receive a proposal for your requested dates and discuss options for accommodations, call us at 843.686.3355 or use our contact form – click here. Dunes West Golf Club in historic Charleston, South Carolina. Set amid bermuda-covered dunes and 200 year old oaks draped in spanish moss this course blends its historically rich environment with the best golf facilities offered anywhere today. 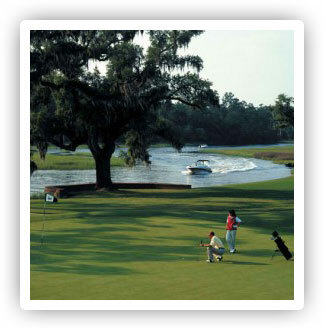 Located on the site of the historic Lexington Plantation is Charleston’s nationally acclaimed golf facility, Dunes West Golf Club. This Arthur Hills design is a diamond. This par 72, 6871 yard masterpiece is one of the best you will ever play.